RBA: So with the wide array of riders you work with, have you seen that the short saddle is a better fit for riders or is it just a trend? NL: The snub-nose saddles have evolved a lot very quickly, and I do find that they are preferred by many riders. I would say that riders under 5-foot-8 tend to like them more. Much of this has to do with body mechanics, and shorter riders need less real estate when riding. Naturally, as a rider is pedaling, they change their position on the saddle for better leverage if they are climbing versus on the flats. This change is less impactful with shorter riders, and the short saddles are normally sufficient. Tall riders do sometimes prefer them if they are very static on the saddle, but the majority just need a bit more length to allow for enough leverage change. Also, because there is less saddle, I notice that if riders change it on their own, they are much more meticulous on getting the position correct. If it’s not at least close to the correct position, then they don’t have some place to sit. You can’t choke up on the saddle to compensate, so in a way it has forced riders to evaluate their position more than they have ever needed to in the past. RBA: If someone wants to try out a short saddle, what is the easiest way to get the positioning correct? NL: Assuming that their current position is correct, I find that laying the two saddles on top of each other and measuring the length difference is a great start. Make sure that you are aligning the wide part (where you sit) of the saddle, not just the total length. Then measure the distance between your current saddle’s nose to the steer tube. Install the new saddle and add the difference in length. That will get you in the ballpark. Also, remember to check the height as well, saddle rail design and material thickness can dramatically affect saddle height. Always write down your numbers before and after in case you want to go back to the original setup for reference. Any change you make will likely have an immediate impact (good or bad) but two to four weeks is normally the amount of time it takes the body to transition to a new position and pressure. Sometimes the body has been adapting so long that when something is better, it won’t feel like it immediately. Make small changes and don’t expect a saddle to be magically better on the first ride, especially if you have been in the same position and components for a long time. RBA: What is the last thing you would tell riders that are shopping for a new saddle or maybe in discomfort? NL: If you are in discomfort, then something is wrong and should be looked at immediately, and a professional can usually spot problems quickly and efficiently. If you are in the market for a new saddle, then find a shop that has some demo options and take your time trying them out. Most of the time it’s not an immediately noticeable change and the body has to accept the alteration. There are seemingly endless choices on the market, and it can definitely be overwhelming. 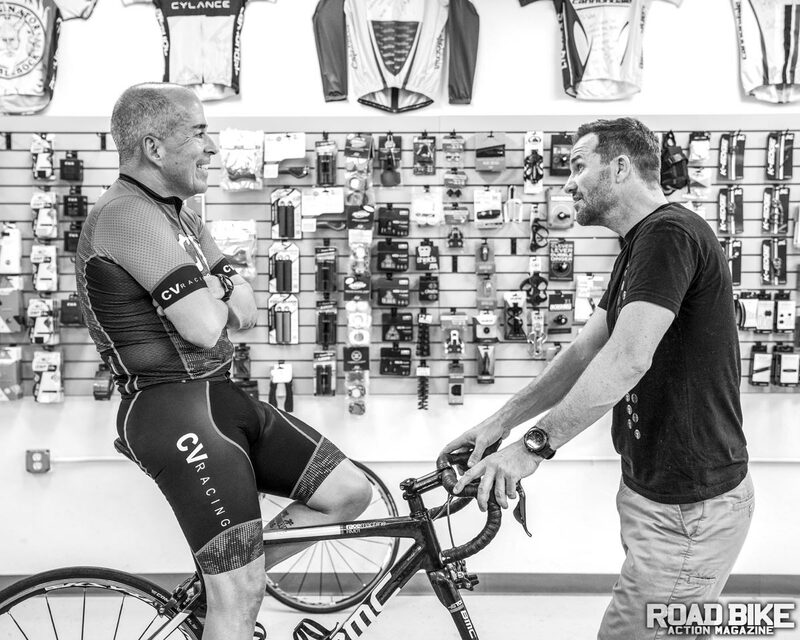 A bike fitter can be a good resource to narrow the selection pool down. Many times they can also identify other modifications that will lead to a better and smoother transition. Remember, too, that our body mechanics/dynamics do evolve and change over time, as well as each rider’s style and discipline. As these change, so, too, does the requirement to be comfortable so you can perform at the highest level possible. The position that was perfect for a crit racer 20 years ago probably isn’t the best one for a recreational Gran Fondo rider today. The position on your road race bike probably shouldn’t be the same for your new gravel bike.